SBS - Shankar Business Space - Meeting Halls with all facilities at Afforable Rates in Chennai. This unique concept is the hallmark of SHANKAR BUSINESS SPACE, designed keeping in mind the interests, comforts and satisfaction of our CLIENTS. We provide our clients with an option of THREE HALLS to choose within- 14 SEAT, 30 SEAT & 100 SEAT.CLIENT can choose from any of the highly sophiscated THREE AIR CONDITIONED HALLS, depending upon the number of participants. If the CLIENT desires to conduct meeting with up to 14 participants, he can CHOOSE the 14 seat hall and spend less.If the CLIENT desires to conduct meeting with up to 30 participants, he can CHOOSE the 30 seat hall and spend less. The other hall can hold up to 100 participants. GENERATOR BACK UP is designed to take up the entire load, so that our CLIENT continues to enjoy the same comfort with uninterrupted power supply.We also provide our clients with an additional facility of LCD PROJECTOR with screen. The Management of SHANKAR BUSINESS SPACE understands the acute parking shortage in T.NAGAR and has provided for our clients sufficient parking facilities.At SHANKAR BUSINESS SPACE, Clients can park their vehicles conveniently at our location. 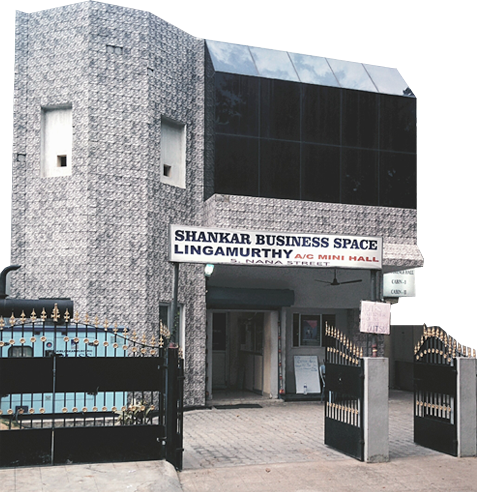 SHANKAR BUSINESS SPACE is centrally located in the HEART OF T.NAGAR near PANAGAL PARK and also easily accessible by all modes of transport, so that our clients can easily locate our place.Choose our halls and let your audience reach the location easily. The proprietor and founder of Shankar Business Space is Mr.M.SIVASHANKAR, B.E., Electrical Engineering, from College of Engineering, Guindy with an additional qualification in Refrigeration and Air conditioning, has over 20 years of experience in senior managerial position. His Experience and dedication towards innovations has given birth to the idea of Shankar Business Space which was inaugurated on September 11, 2011. 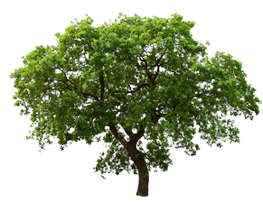 Founder is very keen to provide his clients with comfortable, economical and professional services. The Management of Shankar Business Space is striving towards excellence with the help and support of its expanding clientele base. 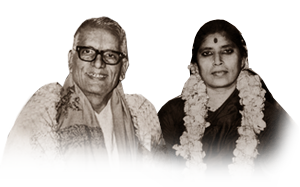 Our Founder is son of Legendary Actor and Play writer Late Mr.M.LINGAMURTHY, who was founder member of the Cine Technicians Association and had held the posts of its Secretory and Chairperson for sometime. 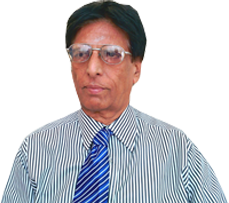 He strongly believes in the ideology of “BUILD RELATIONSHIP AND THE BUSINESS SHALL AUTOMATICALLY FOLLOW”. LINGAMURTHY MEETING SPACE (100 Seater Capacity Hall) is managed by Mr.M.LINGESHWAR, B.Tech, Mechanical Engineering from SRM University and also an aspiring actor.